During a visit by the Saudi interior minister to London, it is understood the UK government will raise the issue of Raif Badawi, the imprisoned liberal blogger sentenced to public flogging in Saudi Arabia. Deputy Crown Prince Muhammad bin Nayef dined with UK Foreign Secretary Philip Hammond on Tuesday night. 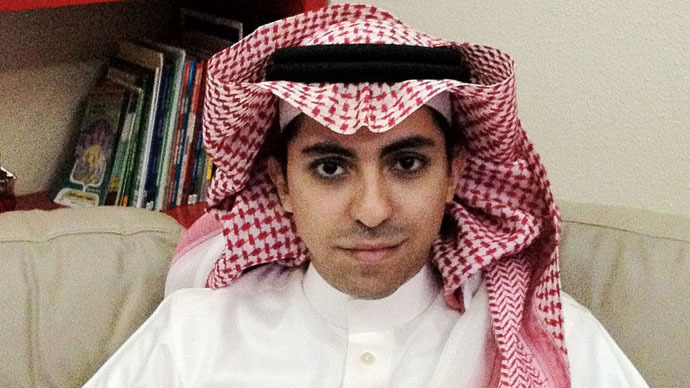 The blogger had agitated for free speech on his Free Saudi Liberals website. During the Saudi minister’s three-day visit to the UK he will meet with Defense Secretary Michael Fallon and then Prime Minister David Cameron on Wednesday. He will also meet with Home Secretary Theresa May on Thursday. Amnesty International UK’s head of policy and government affairs, Allan Hogarth, told The Guardian: “UK officials have been far too reticent for far too long over Saudi Arabia’s horrendous human rights record. They’ve effectively been wearing a muzzle when it comes to Saudi human rights abuses. “Under the new ruler, King Salman, public executions have continued apace, while the free speech activist Raif Badawi remains in jail and is still at risk of being flogged. Cameron traveled to Saudi Arabia in January following the death of King Abdullah to pay his respects to the absolute monarch. He has also defended Britain’s close ties with Saudi Arabia despite human rights concerns. The PM’s spokesman said: “We have consistently raised concerns that we have, and will continue to do so at every level, because no issues are off the table. She has now called on the Austrian government to close a Saudi-financed dialogue center in Vienna – the controversial King Abdullah Bin Abdulaziz International Centre for Interreligious and Intercultural Dialogue – and to help end her husband’s suffering.